Nissan today announced a pioneering new digital-first shared car ownership service which is set to transform the traditional car sharing industry. NISSAN INTELLIGENT GET & GO MICRA, revealed by Nissan Chairman and CEO Carlos Ghosn at the Web Summit in Lisbon, Portugal, will give people the possibility to part-own a brand new Nissan Micra. Social networking is at the heart of this plan, as Nissan is able to profile-match consumers to form next-generation car sharing communities through a 100 percent digital experience. Launching initially in the Paris area later this year, cars are expected on the road by April 2017. The service, based on a unique algorithm that uses social profiling and geo-localisation technology, will match compatible owners with complementary driving needs to form a 100 percent digital, shared ownership community. With bespoke monthly invoicing based on car usage, members can expect no surprises. We are moving toward a future where car usage may be more flexible, social and shared. At Nissan, we’re pioneering new ways to allow drivers to enjoy the freedom and financial benefits of shared car ownership. 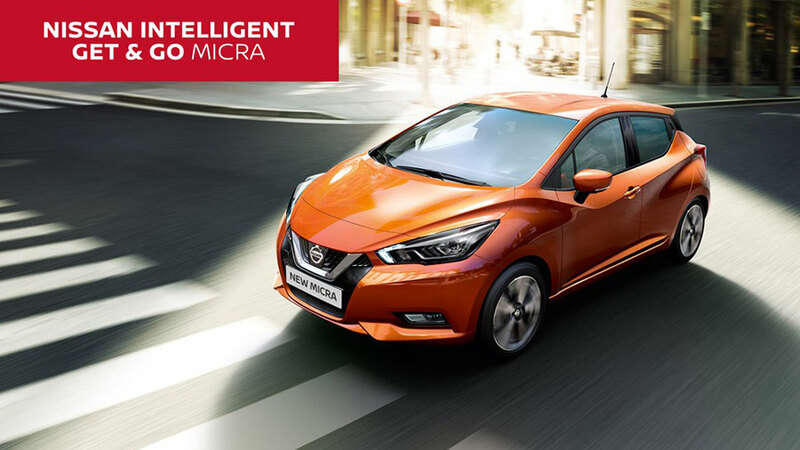 And there is no better vehicle to launch this program than the all-new Micra, which embodies the vision of Nissan Intelligent Mobility. This new service is borne out of Nissan’s Intelligent Mobility vision, which provides a framework for how cars are powered, driven, and integrated into society, all while staying focused on creating more enjoyable driving experiences. With the proliferation of the shared economy model, which impacts everything from cars to food to homes, today’s announcement is a step towards realising this Intelligent Mobility goal. NISSAN INTELLIGENT GET & GO MICRA service uses the new Nissan Micra Acenta 0.9O MT with Bose Personal Audio (a world first), and will include insurance, servicing, access to the online matching tool, smartphone app and in-car technology. Communities will need to agree upon an annual mileage limit of 15,000 km.